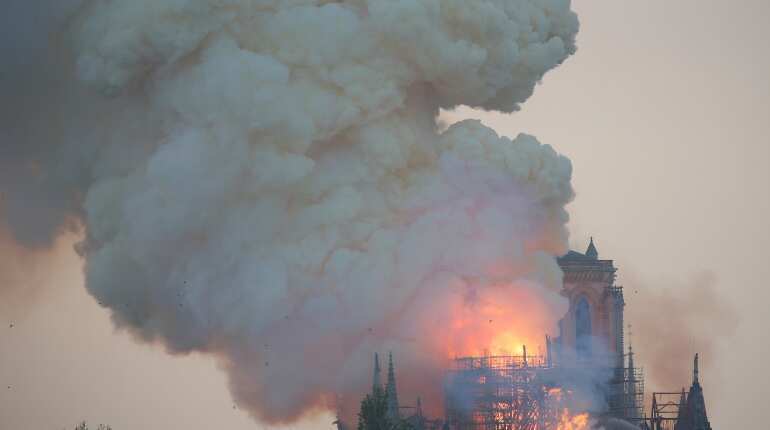 French President Emmanuel Macron on Monday vowed to rebuild Notre-Dame Cathedral in Paris after a colossal fire caused the spire of the historic edifice to crash to the ground and wiped out centuries of heritage. 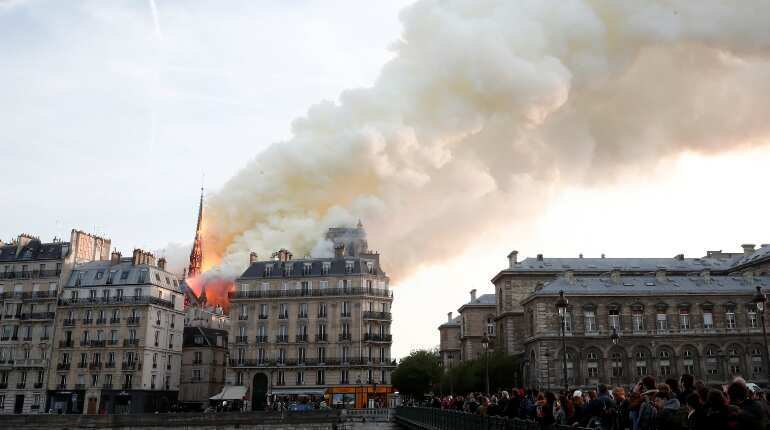 Jacky Lafortune, a 72-year-old artist and self-described atheist stood forlornly on the banks of the River Seine starting at the cathedral. 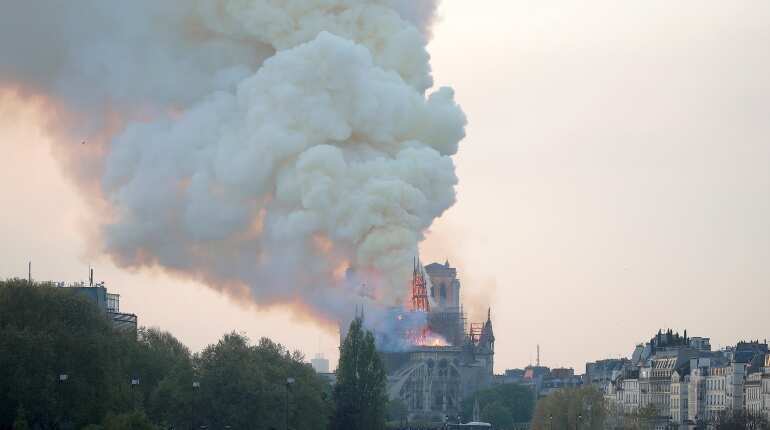 The blaze destroyed the roof of the 850-year-old UNESCO world heritage landmark, whose spectacular Gothic spire collapsed before the eyes of horrified onlookers on a previously pristine early spring evening.